Butterfly Release on Easter Morning! For the next 3 weeks the children and youth will be watching the transformation of caterpillar larvae into beautiful Painted Lady Butterflies which we will release on Easter Sunday. The children began the process by placing a larvae in tiny cups so they can form a chrysalis. 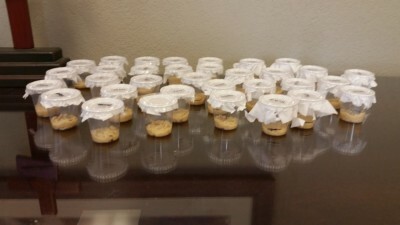 Currently the larvae are in Cameron Womack's office. Stop by and say hello and check their progress!